Any compound microscope needs to use slides to view anything. While you can purchase prepared slides, there is a certain satisfaction, or outright professional need to makes one’s own slides. Fortunately, blank slides are available for purchase. However there is a wide variety of slides available and some might get confused with what kinds of slides they need. First of all is the basic slide: It is a 3″ x 1″ (75mm x 25mm) slip of glass about 1mm thick. Basic slides can be made of plastic, but glass is much preferred. Not all slides are created equal and Spectrum sells Premium slides that have a much lower scratch-dig rating than standard slides. Standard slides are also available with a frosted end. The glass is ground on one end of one side of the slide that makes it opaque. This is so that they can be labeled using a pencil without the need for stickers or other marks. Some slides have frosting on both ends for more information. These two types of slides are all most folks will need for their flat slides requirements. The rest of the designs are needed in labs and industry. Other slides go one step past the frosted end and have colored ends for labs where indexing the slides by type can be important. These are important to labs where a lot of slides are produced and the lab needs to index the slides by type: white=bone samples, green=blood, etc. All the labels can be written on with pencil or felt-tip pen (sometimes ball-point). There are also what are known as ‘charged’ slides. These are high-end microscope slides with a coating of a special adhesive formula (one side only!). This formula is very useful for getting specimens to ‘stick’ to the slide. These slides also have printed ends in varying colors. These huge slides do have some issues: the are not as easy to handle, and they require a microscope with a large stage to fully take advantage of the size. Concave slides are thicker than regular blank slides, and instead of a flat surface that have one or two small indentations that can hold liquids, such as the aforementioned pond water, blood or other liquids. This allows small creatures to be viewed without killing them. They may not be easy to find, but any water from a natural source should have some microscopic creatures in it. Having a set of blank slides (and cover slips) at the ready is almost a requirement for owning a telescope. They are inexpensive and good to have when you find a new item to examine. Slide preparing kits can also help with stains and other materials to help prepare slides for viewing. Be sure to have some of these around if you plan to properly use your microscope. Neil Armstrong, first man to walk on the Moon, R.I.P. We’re a couple of days late with this, since we don’t update on weekends, but as many of you have probably heard, Neil Armstrong passed away on August 25th from complications from a previous bypass operation. Neil Armstrong was the first person to walk on the Moon. Neil Armstrong, along Buzz Aldrin, were in the lander portion of the Apollo 11 mission, which was the first manned vehicle to land on the Moon. (Michael Collins remained in Lunar orbit). 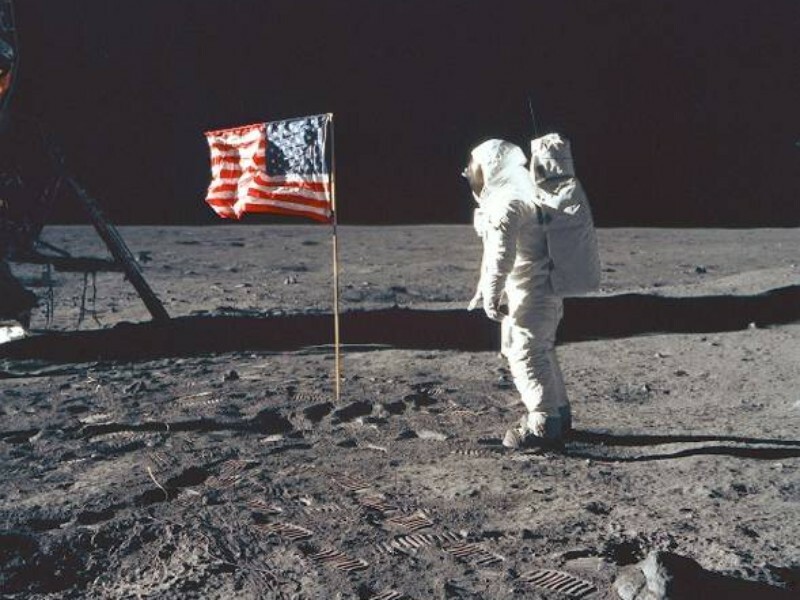 Neil Armstrong had to land the “Eagle” manually after the computer chose a surface strewn with boulders while Buzz Aldrin called out navigation data. Neil safely landed the craft and uttered the famous line “Houston, Tranquility base here. The Eagle has landed”. The schedule for Apollo then had them taking a nap (no, really). Armstrong and Aldrin refused to do this and instead embarked on their extravehicular activities. 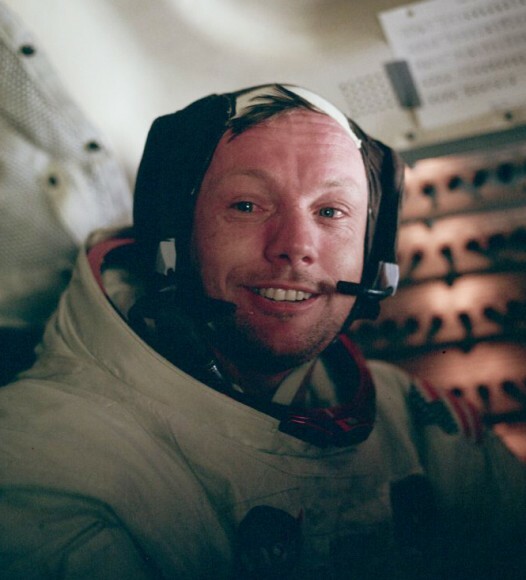 Armstrong, due to his position in the cockpit was the first to leave the Lander. Once Armstrong reached the bottom of the lander he utter the line “one small step for a man, one giant leap for mankind”, which often sounds like “one small step for man…” in recordings. Armstrong & Aldrin would spend less than a day on the Lunar surface before returning. Even before the space program, Armstrong had an incredible career. He earned an aeronautical engineer’s degree from MIT. After graduation he went into the US Navy and flew in Korea. Afterwards he worked as a test pilot before applying to become an astronaut. Armstrong was a very private person and did not do much to ‘cash in’ on his fame. He was very quiet and unassuming compared to his more outgoing lunar partner, Buzz Aldrin. Despite some claims, however, he was not a recluse and did grant interviews on a regular basis. He did refuse to sign autographs after finding out that people were selling them for money. After Apollo 11 he elected to become an engineering teacher. He also served on the committees to examine to Apollo 13 incident and the Columbia disaster. A national hero…no a planetary hero has passed away. This has been a tragic year for astronauts. Mars Rover Curiosity Paper Model! It looks really cool to us. The Model is 3 pages, and should probably be done on heavier stock paper. There are a few hoops you need to go through to get to the model instructions (agreeing to their terms and a password) but we think it is worth it, especially since it is FREE! BenchMark Scientific continues to produce innovative new products for the lab. Their latest items are the MyTemp Mini-Incubator and the MyTemp Mini incubator/Cooler. Both of these mini-incubators offer Digital quality and analog pricing. You have the control of the temperature to the degree with the ease of an analog control. The device can also work on a timer so that it can heat up (or cool down with the cooling version) immediately and maintain the temperature for a set period of time. The footprint of the MyTemp (either version) is a mere 14.5″ x 13″ making it an excellent tool for cramped labs. Despite this is it is able to handle flasks up to 2 liter, and a nutating rocker is available that fits in it (see below) It comes standard with a US 115V, 60Hz plug but a 230V, 50 Hz version is available. Both versions can reach 62 degrees C, and the cooling version can go to 15 degrees cooler than ambient temperature, down to a minimum of 7 degrees C.
There is more! BenchMark also has a mini nutating lab rocker that fits inside the MyTemp! It is small enough to fit in the MyTemp’s interior – has a 8″x 6″ rocking platform that rotates at a 20 degree angle and a fixed 24 rpm. It is perfect for the BenchMark MyTemp but works well with any incubator. It even has a flat cord so that the incubator door can seal better. Extra shelves are also available for those who want to maximize their surface area in the MyTemp. The MyTemp heater can be purchased from Spectrum Scientifics. The link for the Heating only version is here, and the Heating/Cooling version is here. Science Jigsaw Puzzles – Part 2 all the other sciences! In the field of chemistry we have two offerings, both of the Periodic Table of the Elements. The first is a classic Periodic Table 1,000 piece puzzle, which makes for an excellent way to learn the properties of the elements. We also are carrying this attractive Illustrated Periodic Table of the Elements 1,000 piece puzzle. This puzzle has photos or symbol representations of all the elements. And for those more medically inclined we have just added this 1,000 piece puzzle of the Human Skeletal System. Each bone is labeled with details of the hands, knees, and joints. Pick up some of these great puzzles today, who knows, you might learn a few things while putting them together! Orbital Shakers are nothing new to our product line. We already have Benchmark’s Orbi-Shaker, Orbi-Shaker Jr, Orbi-Shaker C02 and the Incu-Shaker 10L Shaking Incubator & Incu-Shaker Mini. All of these are excellent instruments for the the lab, especially when combined with the versatility of the MAGic Clamp magnetic clamp systems. The Orbi-Shaker XL is just $2495.00 -making it much lower priced that competitors’ models. It has a huge 18″ x18″ platform and shakes in a 3/4″ (19mm) orbit from 30 to 300 rpm. Items can be placed on the surface directly, or can use the MAGic Clamp system designed for it. Also available are dedicated Microplate platforms and other surfaces. We’ve toyed with this notion for a while, and even carried one or two here or there, but until recently we were not very happy with the offerings of science oriented puzzles in the past. That has changed. Poster-company Eurographics decided that they could take some of their many posters and make some good jigsaw puzzles out of them! We have decided to carry a few of them to see how they do. Most of these puzzles are 1,000 pieces ( a couple are 750 pieces) and gorgeously detailed. We have chosen a wide variety of science topics that you can enjoy assembling.